Kdan Mobile Software Ltd (Kdan Mobile), a global Software as a Service provider headquartered in Taiwan, today announced its participation in Mobile World Congress (MWC) Americas, an international gathering of the most innovative minds in the mobile industry. Kdan Mobile Software Ltd (Kdan Mobile), a global Software as a Service provider headquartered in Taiwan, today announced its participation in Mobile World Congress (MWC) Americas, an international gathering of the most innovative minds in the mobile industry. This three-day event will take place from Sept. 12-14 at the Los Angeles Convention Center in Los Angeles, Calif. During the show the company will give functionality demonstrations, reveal expected new team collaboration and AI reading features, and run special promotions. Kdan Mobile will participate in the MWCA Business Transformation Tour. The company has prepared a special presentation and exclusive swag bags for tour participants. In addition to revealing new features and giving live demonstrations of their flagship software solutions, Creativity 365 and Document 365, Kdan Mobile will also demonstrate how their software integrates with Adonit’s and Maktar’s (two of their alliance partners) hardware to exponentialize user capabilities. The company will offer event-exclusive free trial codes and on the spot purchase promotions including free gifts from their hardware alliance partners. 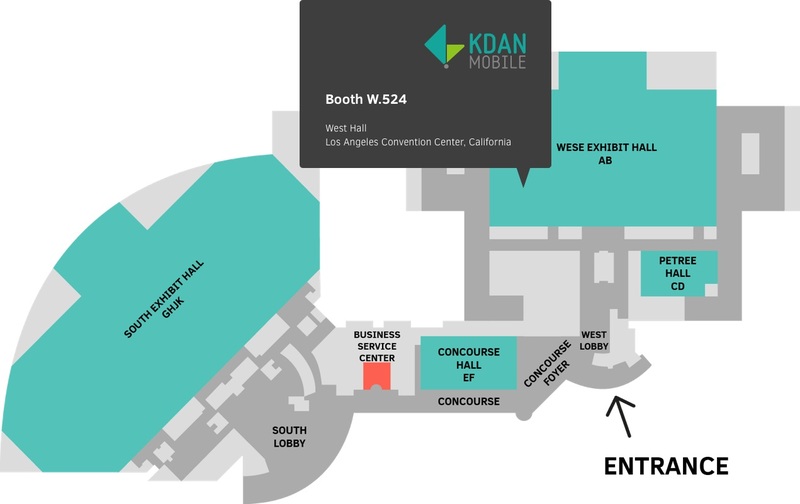 Interested parties can sign up for a meeting with Kdan Mobile or stop by the company’s booth W.524 to learn more and check out the new features mentioned above. Over two-thirds of the world’s population is connected by mobile. MWCA brings together this industry’s top leaders and influencers to create opportunities that will inspire ideas that lead to a better tomorrow. More than 1,000 exhibitors will showcase the industries’ newest technologies and most innovative products to an expected 25,000+ attendees from across the globe. Since 2009, Kdan Mobile has been a dedicated provider of mobile software applications and online services that allow users to better leverage their productivity and creativity. Kdan's apps have received more than 120 million downloads worldwide; their solutions empower the world to create, distribute and conjoin projects via a variety of devices across platforms. Kdan Mobile is headquartered in Taiwan with operations in China and the United States.